A business model is describing the way ‘how we actually make money’ by defining the value proposition and build up an understanding if the model is economically viable. This is done by providing insights on how we create value, and market and deliver the offerings to the different roles in the construction industry value network. As for the many different assets in a building, we need to understand the reuse potential by design and how we would assess the value of these assets in present use and when these assets become available for reuse or recycling. We need to understand who owns the material and data (and makes the decision to reuse), who will need this for re-purpose, etc. The concept of material banks contains many different business opportunities, that have a value for the different roles in the industry. 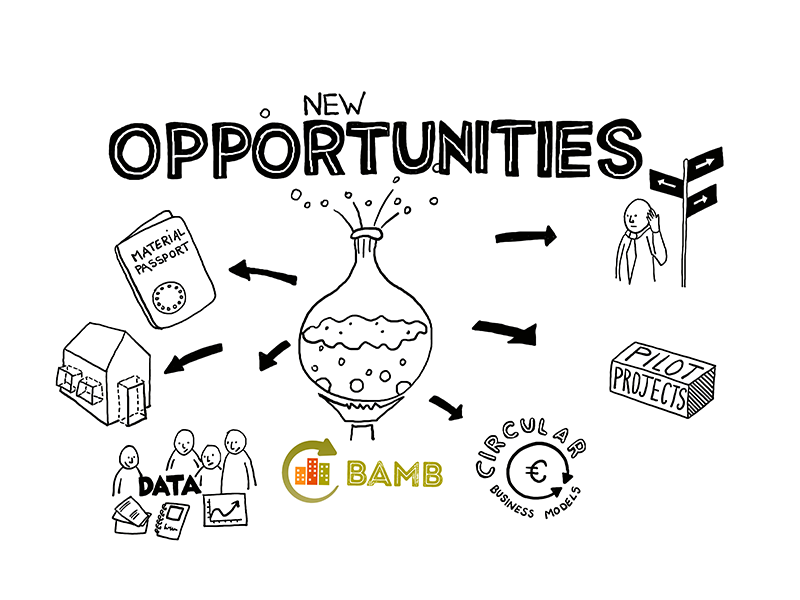 In BAMB one outcome focuses on the recommended business models and associated Operating Model that are applicable to the outputs being generated in the BAMB project. These recommended business models are a conceptual structure on how to extract value from the work products of this project but do not constitute a full commercial proposition. The business models to be designed pertain to the application of this innovation project’s main outputs: material passports and reversible building design. More about Circular Buildings Business Models.